It had chocolate and almonds and was kind of chewy, but mostly a mess of nuts inside of a chocolate shell. It should have been tasty, it had potential, but it was really quite dry and that was rather unfortunate. It could be that this particular bar just wasn’t that good, which is why I have another flavor of NuGo bar picked out for another review later on down the road. It was low fat, which is nice if that is a concern for you. It also was pretty high in protein compared to most other bars I have reviewed so far, but it didn’t come close to the Squarebar Cocoa Crunch in terms of protein per ounce. The only saving grace was that this had the cheapest protein cost out of any bar reviewed so far, making this the budget option. Otherwise, it was mediocre compared to the Squarebar and 22Days in all ways possible. Outside of protein, the NuGo Organic bar had pretty much no nutrients; no vitamins, and only trace amounts of calcium and iron (on par with a bottle of mineral water). 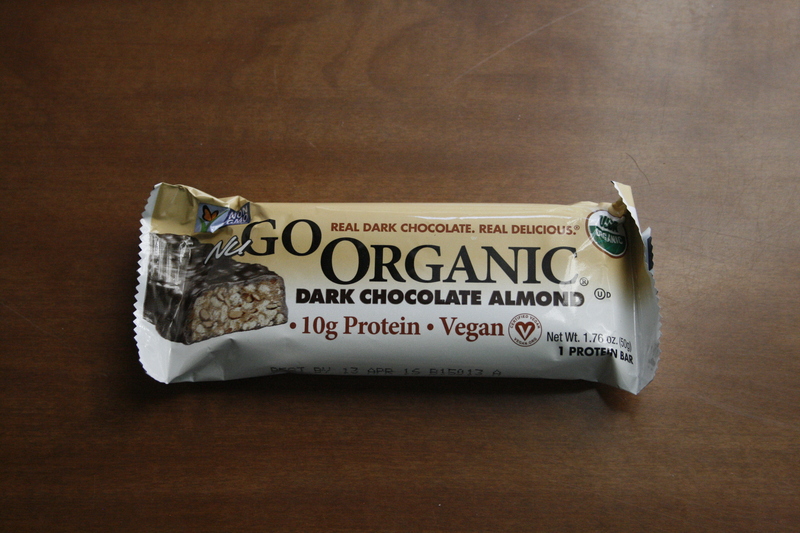 I doubt I will ever get this brand again after this review, but perhaps the second NuGo bar will wow me.